T. Lowndes Pope of Riley Pope & Laney is an attorney in Columbia, SC. He represents creditors in foreclosure and bankruptcy proceedings as well as manages real estate transactions. Mr. Pope earned his Bachelor of Arts degree from Clemson University and graduated from the University of South Carolina School of Law. He began his law practice with the firm of Haynsworth, Baldwin, Johnson, and Greaves, PA, advising and defending clients in employment litigation matters. Mr. Pope later joined the firm of McAngus Goudelock and Courie, PA, where he practiced administrative law. Prior to forming Riley Pope & Laney, LLC, Mr. Pope served as Vice President of Old Republic National Title Insurance Company with legal and managerial responsibility over the South Carolina operations. 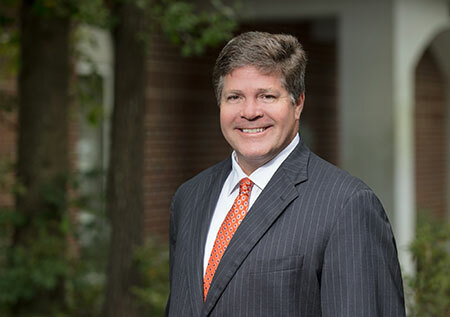 Mr. Pope is a member of the South Carolina Bar and Richland County Bar Associations having served two terms as Chairman of the South Carolina Bar Technology Law Committee. Mr. Pope is AV rated by Martindale Hubbell, and admitted to practice before all South Carolina state courts and the United States District Court for the District of South Carolina. Mr. Pope, his wife Laine, and their three boys reside in Columbia, South Carolina.